If you or a loved one suffer with psoriasis, chances are, you are not alone! According to the International Federation of Psoriasis Associations (IFPA), psoriasis affects more than 125 million people globally. While psoriasis canaffect many emotionally, financially and socially, therapeutic techniques and interventions have come a long way. We aim to dispel any myths, provide tips, and increase awareness of psoriasis in order to abolish stigma surrounding this disease. Psoriasis is a common autoimmune chronic skin condition that is cyclical and can be recurring. There are several types of psoriasis, but the most common type is plaque psoriasis, which can affect any part of the body. During active flare ups, which can last a few weeks to several months, cells build up rapidly on the surface of the skin, forming scales and red patches that are itchy and sometimes painful. Contrary to what many people believe, psoriasis is not contagious! While there is no cure for psoriasis, the main goal of treatment is to stop the skin cells from rapidly growing. This is achieved by managing the symptoms and avoiding triggers. Treatment usually involves lifestyle changes, and the use of medication and moisturizers. The World Health Organization (WHO) released a global report, which addressed key areas of focus that would improve the lives of people suffering with psoriasis. In order to abolish stigma, the “carrying out campaigns and training aimed at increasing knowledge and awareness of psoriasis among health-care providers and society” becomes necessary. High profile superstar Cyndi Lauper has been an active advocate of psoriasis awareness since her diagnosis in 2010. In a recent interview with the American Academy of Dermatology (AAD), She shared her tips for managing her symptoms and encourages everyone who has psoriasis “to make a little time for you.” Stress reduction can go a long way in helping decrease the severity of future flare-ups. These HealthTap blogs on the benefits of yoga and reducing anxiety may help improve your psoriasis symptoms. You too can join the movement to help fight the stigma and ignorance associated with psoriasis. 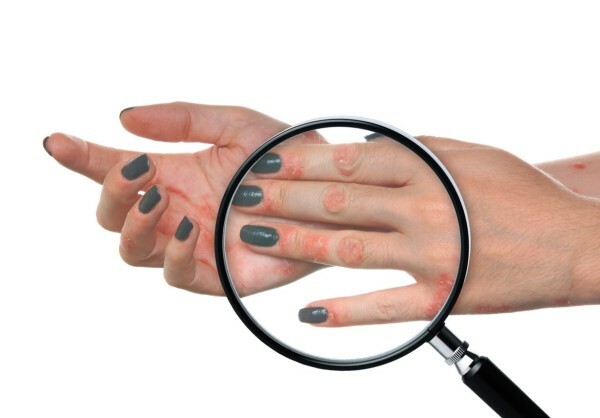 If you’ve been diagnosed, but your psoriasis causes pain or discomfort and performing routine tasks has become more difficult, connect with a HealthTap doctor today! If you suspect that you may have psoriasis or want to learn more, browse the HealthTap library.